Salt Plate Press | Patio and Hearth Co.
Get a handle on your Himalayan Salt Plate and make it easy to maneuver! 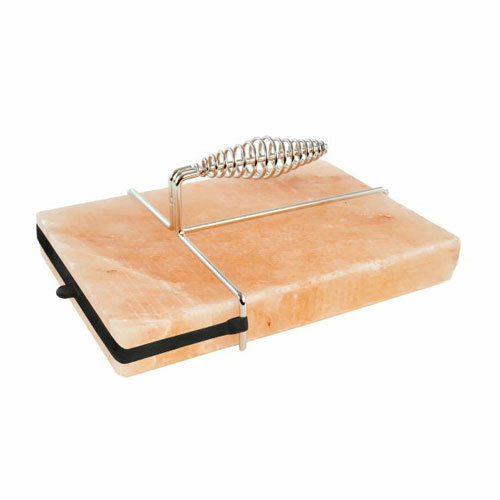 This Salt Plate Press wraps around a block of solid Himalayan salt (sold separately), giving you a firm hold as you use it to press proteins on the grill. Stainless steel construction and ribbed handle helps prevent slipping that could crack or chip your salt block. Press fits its salt blocks 12″ x 8″. Inquire about Salt Plate Press using the form below.